Use this logo to link to us directly. 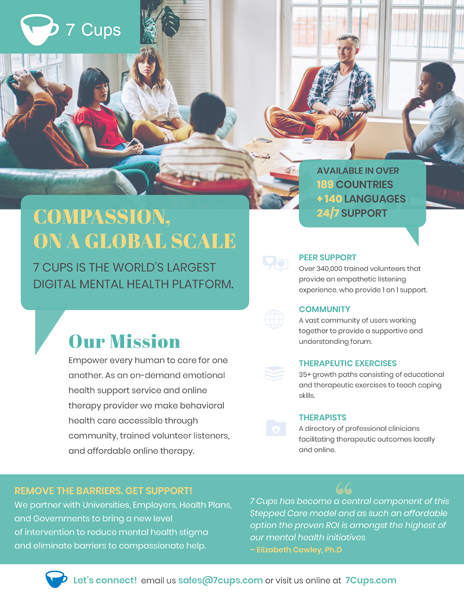 This link will take your clients and members to the 7 Cups home page where they can connect to our listeners on demand, 24/7, from any part of the world. Use this banner to link to us directly. 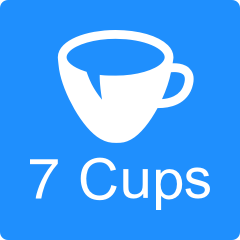 This link will take your clients and members to the 7 Cups home page where they can connect to our listeners on demand, 24/7, from any part of the world. 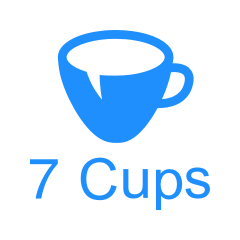 Use this banner to refer potential listeners to 7 Cups. This link will take your users to a page with information about volunteering as a listener and the ability to apply. Do you need a specific banner ad or graphic size to fit your site? Just ask and we’ll be happy to custom create one for your needs. Just submit a request via our Support & Feedback Form.